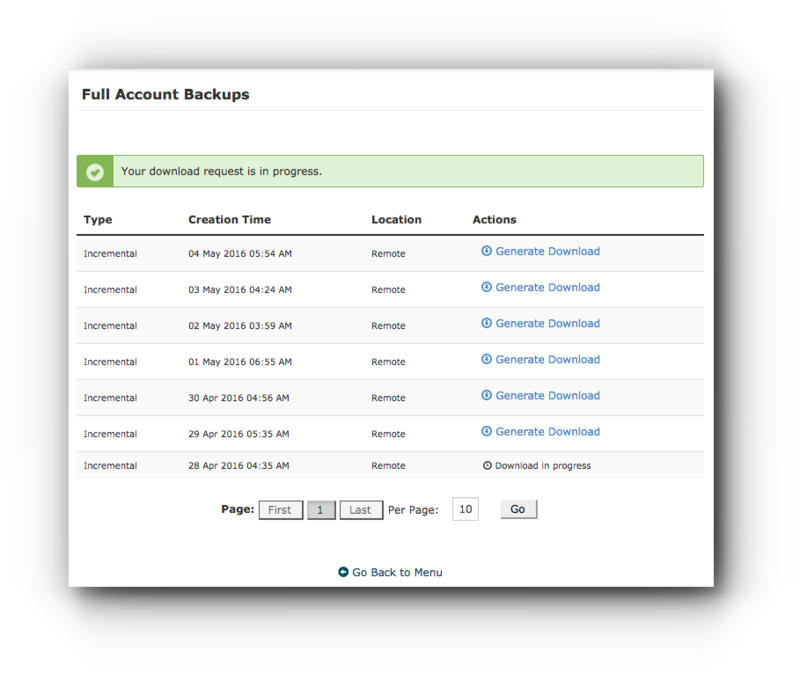 JetBackup allows you to download your full account backups. This includes files, emails, DNS zone, cronjobs, database, and SSL certificate. Step 1. 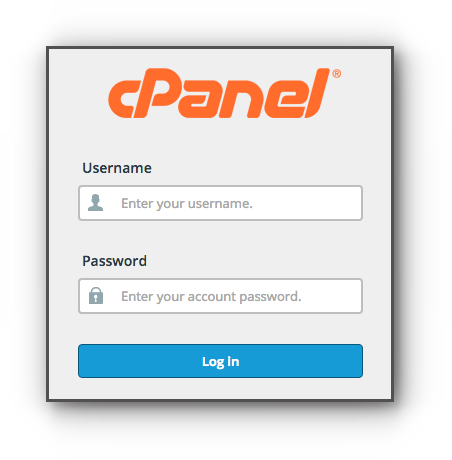 Login to the cPanel. Step 2. 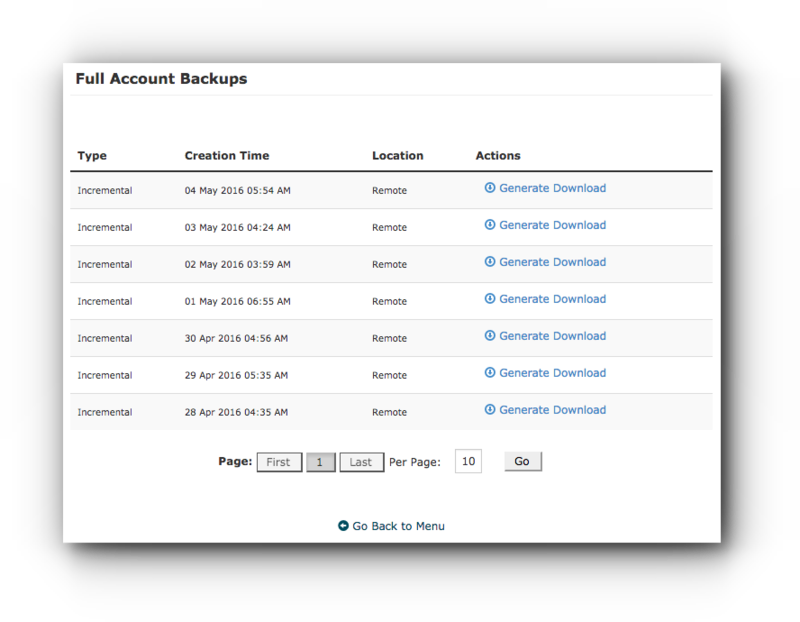 Click on Full Account Backups in the JetBackup panel. Step 3. You will be presented with the backup dates that would be available for your account. Click on Generate Download link on the specific date you want to download. Step 4. A window pop-up will show about the download. Click on OK button to proceed. Step 5. Wait for the download request to finish. Step 6. Click on Download link and the zip file will be saved in your local computer. You may manually import/upload the specific file you want to restore for your account. If you need further assistance, please contact our support specialist.